This Buzz bait comes with either a large single blade or two medium blades. The single blade just gets it done. 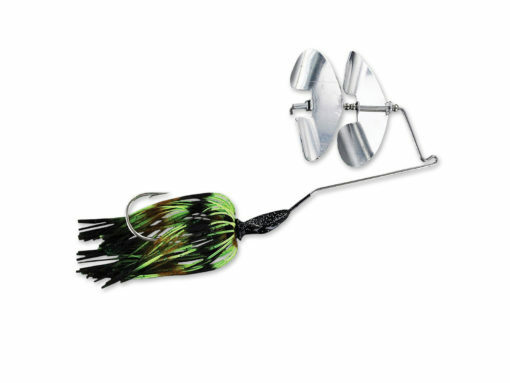 It is made with a 6/0 Gamakatsu hook and brings fish in from the depths. The double blade has two counter-rotating Delta Blades. 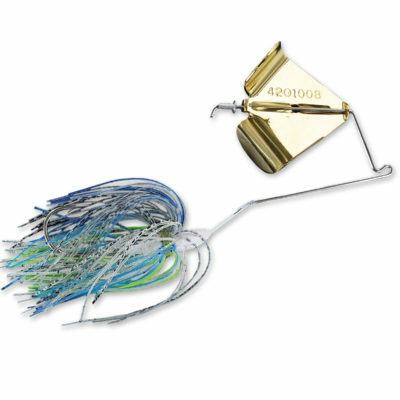 These blades allows this bait to be run at both fast and slow speeds while still delivering a great ruckus on the surface.